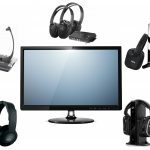 Reviews, best-of guides, and comparisons on music and recording equipment, video cameras, gaming gear and more. Headphones with noise isolation technology, or at least a build that allows you to find some peace of mind while you’re listening to your favorite tunes and/or movies and TV shows, are geared towards those who want privacy and an intimate listening environment. The tricky term here is ‘noise isolation’, as we’ve learned through many years and excruciatingly amount of research that it isn’t necessarily an ‘exact science’. However, through out out experience, we’ve come across some amazing headphones, and today we want to recommend you some pairs we think will be beautiful for a private and personal audio world to dive into. But first, let’s see what ‘noise isolating’ actually means. 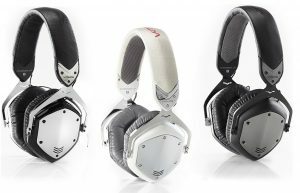 What are noise isolation headphones? First and foremost — when we hear ‘noise isolation’, we think the following: being able to isolate the outside noise of the world away from our ears while we listen to audio. Is that a good way to put it? In other words, when we’re listening to our favorite songs, shows, movies or podcasts, we don’t want any interference from not only the things around us, but people as well. We also don’t want others to necessarily ‘hear’ what we’re listening to either, so we’re essentially isolating the noise around us away from our experience as well as isolating what we have in our ears to only us. The only drawback here is that there isn’t necessarily a specific technology that actually ‘isolates noise’ from our headphones. What does the isolation is the headphones build. 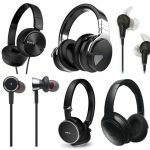 We’ve been able to narrow down our search to a few main types of headphones, and today we’re thinking either noise isolation earbuds or closed-back, over-ear headphones. 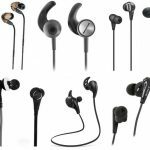 Which type will depend on your intended use — if you want some versatility and portability-friendly noise isolating headphones, we recommend in-ears. At the same time, for an even more personal experience and you’re able to get away with the traditional headphones build, we recommend over-ears. We also want to highlight a popular mix-up our readers (and we ourselves had done for many years) come across — noise isolation vs. noise-cancellation technology. Whereas noise isolation headphones do their best at blocking out the world around us with a build of the headband and ear cups, noise-cancellation headphones have actual technology that specifically cancels out those noise using special technology built-in to the headphones. How so? They typically have tiny microphones built-in to the outside of the ear cups, and these mics are responsible for capturing the external world and then “cancelling” them out using an inverse frequency before they go into our ear cups. The only con here is that these are extremely expensive, so it’ll depend if you want to switch your focus on to noise-cancellation as opposed to noise-isolating headphones today. We do have a few pairs below that have ANC you may like. 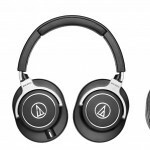 Coming in as our favorite pick as the best noise isolating headphones, the Momentum 2.0 are extremely popular among many different types of headphones uses, more particularly leisure listening and traveling. Their ability to isolate and block outside noise is some of the best out there right now, and this is all due in part because a of a technologies included here — the over-ear, closed back design and “Noise Gard hybrid” active noise cancellation. The large diaphragms located in the inner ear are able to produce a powerful bass and bring clarity to the little nuances of your sound that pay attention to detail. There’s also the in-line remote that not only allows you to customize your volume directly on the headphones, but it can also sync to your wireless mobile device to allow you to answer phone calls and switch through your music. They come in quite a few versions as well, such as regular wired, wireless Bluetooth, and iOS-friendly. It also includes a few other nifty features such as a foldable stainless steel headband, detachable cables, and high quality transducers. 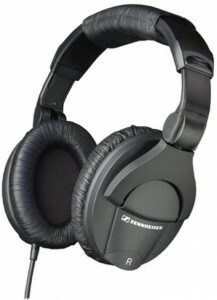 Add in the fact that these headphones were designed for long-wear use and have soft padded ear cups to make their use comfortable, and it’s easy to see why the Sennheiser Momentum 2.0 are highly reviewed headphones and considered to be one of the best options when searching for noise isolating headphones. I once had a conversation with my uncle (a musician) on why on-stage performers are always adjusting headphones while they are playing. 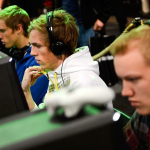 Isn’t the whole point to be able to hear the music that you are distributing to your crowd? He explained that the headphones are designed to do just that. Headphones for musicians isolate the sound that they are producing and reduces the external noise of the audience, so that the performers aren’t distracted by the reverberation or the audience and can focus on the music they are playing. For those people, the Shure SE315-K headphones deliver exactly what is needed. These subtle in-ear headphones have an over-the-ear design to keep cables out of the way while you are playing, and have an angled nozzle that ensures the music is isolated in your ear. The best way to block out the ambient noise, however, comes from the fit of the ear pieces, which is why you have three different size options to create a flexibility and comfort in how your earbuds feel. These go straight into the ear canal for great noise isolation, and although considered in-ear monitors and definitely on the high-end, are a very good option for those who not only want outside noise blocked but supreme sound quality on top of it all. 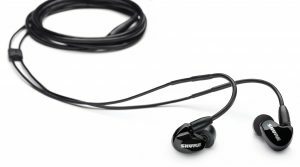 For a reasonable price that gives you a high quality product, the Shure SE315 is one of the best noise isolating headphones available in the in-ear department. The Audio-Technica ATH-M50x is now considered legendary at this point since they first came out, and in regards to noise isolation, they work well for all types of uses, especially in the home recording studio. First, they have an extended range of frequency, and with the large aperture design made from copper aluminum and magnets they are able to deliver an accurate response of bass in the audio you are hearing. The ear cups are not only comfortable and reliable, but they also have the ability to rotate for those times when you need to have one ear able to hear what is happening in the outside world. Additionally, they come with detachable cables and a portable design that lets them easily collapse and be placed in a safe carrying case. While the best use for the Audio-Technica ATH-M50x is probably with a studio for music, it’s hard to deny that they are considered to be one of the best headphones with noise isolation that can span across numerous different applications out there. 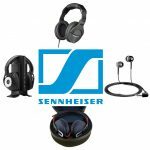 Another option from the Sennheiser brand, the HD 280 PRO is a budget friendly price that contains all of the features needed for the best headphones that isolate noise. As another over-the-ear option, these swiveling and flexible ear cups come with a padded and durable design that brings both comfort and reliability in any situation of use. They are constructed to have a high ability to reduce ambient noise, while still being able to reproduce an accurate representation of audio that is being played. A cable for input is located on only one side of the headphones to keep any distractions out of the way and allow you to focus on the sound you are hearing. The user reviews don’t lie here — the Sennheiser HD 280 PRO is definitely more of a basic design, but sometimes that’s the best option needed when you are looking for quality features that simply get the job done. We have a nice mixture of quality and affordability with these. 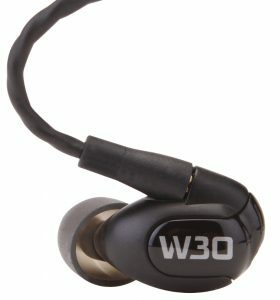 Before we get into all of the features included in the Westone W30, I would like to note that this is a headphone located on the higher end of the budget. That being said, there is a reason to this, and that is because it comes with everything you could ever need for the ultimate listening experience in regards to in-ear headphones. These isolating headphones are considered to be one of the best products available due to the three way crossover of the three balanced armature drivers. If this doesn’t necessarily make sense then here is a more detailed analysis — the drivers fuel the headphones to deliver a balanced sound of frequency ranges while also capturing the hidden nuances of the music that are difficult to hear on any regular headphones. They come with a variety of ear pieces that are designed to make the headphones so comfortable that they can be worn for an extended period of time, and the over-the-ear design makes sure that all cables are out of the way and never distract from the listening experience (but as a note, the cable does include a microphone to ensure you’re still in the reality of the world). They’re portable, compact, and highly reviewed by customers and critics. So yes, they are a higher-end pick as the best noise isolation headphones, but the Westone W30 also deliver a quality listening experience, and if you have a very high budget you will not be disappointed in this buy. The Crossfade LP2 is designed with comfort and noise isolation being the top priority. The earpads on these headphones are quite thick, but that is to ensure that they can be worn for long periods of time without giving you that awful “my head is being crunched” feeling (believe me, I’ve been there). This, in conjunction with the analog noise isolation, works to keep your sound firmly located within the interior of the earbuds, rather than letting it leak and bring in the opportunity for external noise to be heard. The dual-drivers work to separate the various melodies for precision and clarity within the sound, and also keep the consistency of the audio in tact. A steel, durable frame and an included carrying case keep your headphones safe from harm and allow you to keep enjoying music the way it was meant to be heard with no external distractions. We love the V-MODA Crossfade LP2 for more than just isolating noise — they look extremely slick as well, and you get some color options on top of it as well. These Beyerdynamic headphones have a reputation of being used by the professionals in the music industry, so my thought is that if they are good enough for them then these headphones really must be the best at isolating noise, because how else could they possibly do their job if they weren’t? In this case, the DT 770 PRO is known for its ability to produce precise reproductions of the various frequency range being played within the music, including those difficult to hear low ranges and even those only-a-dog-can-hear-this high ranges as well. Our DT 770 PRO review will give you some more information as we’ve tested these first-hand. The single sided cable not only provides flexibility in how the ear cups are worn, but also in keeping distractions out of the way by avoiding those distracting cords found on other headphones. They work with both professional mixing devices and personal music devices, so you can be flexible in how you use them to match your own personal needs. These are definitely high-end and geared towards the studio, being that the drivers are a lot more advanced than “standard” headphones, but even those who aren’t using these for music will appreciate the overall listening experience. High price but high quality is, in this case, hard to beat with the Beyerdynamic DT 770 PRO. 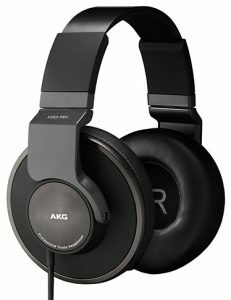 A feature I personally enjoy on the AKG K 553 that really makes these solid quality noise isolating headphones is the closed-back design and super large ear cups. This construction makes for the best noise isolating headphones because it encompasses the entirety of the ear, and keeps all music being produced from the drivers within the ear cup as it delivers the audio. 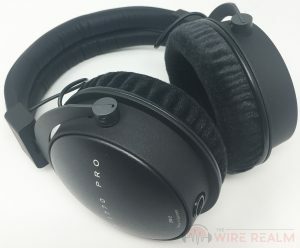 This is why headphones like these are able to deliver a strong bass frequency and also reproduce precise notes with clarity that are often difficult to distinguish. 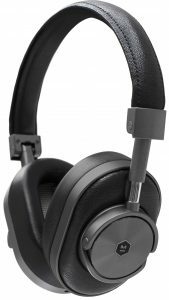 Plus, while these are headphones that can be used in professional studio, they also have a low impedance that makes it intuitive in its music delivery for personal devices as well. With its ability to fold inwardly for easy portable use, and the thick ear cups for comfort, thee AKG K 553 Pro are accessible to any user and are just another one of the best noise isolating headphones out there. This time with a decent price-tag that’s within the middle range for those who want a studio-quality pair but don’t want to spend an arm and a leg, either. 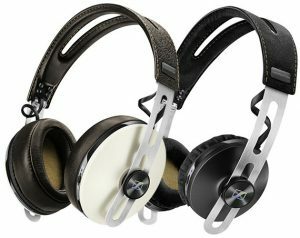 A high budget option, these headphones have ear pads made of leather and lambskin, have memory foam for optimal comfort, and include adjustable controls located directly on the headpiece. They also have noise cancelling microphones on both sides of the headphones, which as explained previously, essentially isolates your sound so well that you can almost be in your own little world. They’re Bluetooth compatible and have a battery life of almost sixteen hours, so you also know they won’t be quitting on you anytime soon. 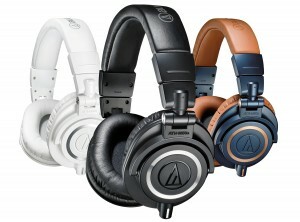 Finally, the Master and Dynamic MW60 also come in a variety of colors to match your personality. This is our pick as the best noise isolating headphones if you needed a high-quality wireless option. Last but not least we have the MEE audio M6 PRO, a budget friendly and well reviewed pair of in-ear monitors (read our M6 PRO review for some more info as well) that comes with detachable cables and are made to best suit those looking for affordable noise isolating in-ears. An updated driver works to ensure that your sound is isolated without having to worry of any external noise making its way through, while also producing a clear and precise reproduction of your sound. The over the ear design is both out of the way and can be detachable, serving as a good investment as you can replace them later down the road. 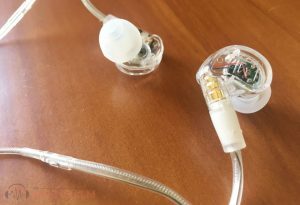 The ear pieces themselves are constructed to fit almost any ear mold due to the memory foam on the ear pads that conforms to the users personal shape (comes with quite a few options in the box). Add in that they are also sweat and tangle resistant to maintain their durability and this budget friendly MEE audio M6 PRO proves that it has a solid quality product. The Wire Realm researches and compiles the best equipment and gear for those in need of recommendations for their latest shopping endeavors. Read our About Us page for details in how we fund our website and earn affiliate commissions for our recommendations. The Wire Realm is a participant in the Amazon Services LLC Associates Program, an affiliate advertising program designed to provide a means for sites to earn advertising fees by advertising and linking to Amazon.com.